If you are trying to find Ford dealers in the Milwaukee area that offer Tuscany Ford trucks for sale? Then you need to stop by Ewald’s Venus Ford. Ewald’s Venus Ford is the Ford dealer in the Milwaukee area that you will want to go to for a great selection of Tuscany Ford trucks for sale. Head to your Ford dealer in the Milwaukee area and see one of the custom Ford trucks for sale like the new 2018 Ford F-150 Tuscany FTX Lariat for sale. This incredible new Ford Tuscany for sale is as powerful and capable as it is eye-catching and comfortable. This Ford F-150 Tuscany is sure to wow you the minute you take it out on the road for a test drive. The new Ford F150 Tuscany for sale has much to offer you and any other Milwaukee area driver. Boasting everything from raw power to a fantastic range of features, this Ford Tuscany for sale will make driving the streets of Wisconsin fun again. With this new Ford F150 Tuscany for sale, you can travel down the road with an incredible 395 horsepower. All thanks to its impressive and high-powered 5.0-liter 8 cylinder engine. The power and capability of this new Ford F150 for sale is sure to help you get to where you need to go. This new Ford Tuscany for sale is also equipped with desirable features like a built-in navigation system for worry-free traveling when going to unknown destinations. As well as steering wheel controls that make changing the radio, answering calls, and setting the cruise comfortable and convenient. You will also find that this new Ford truck for sale has power running boards and leather seats. Come and check out this new Ford F-150 Tuscany for sale and take it for a test drive today. The lift kit and custom wheel this Ford Tuscany truck for sale comes equipped with allows for additional ground clearance than your average truck. This makes going off-road even more accessible when dealing with rough terrain. This new Ford F-150 truck for sale should give you more than enough reason to stop by and take it for a test drive, so come into Ewald’s Venus Ford dealers in the Milwaukee area today! 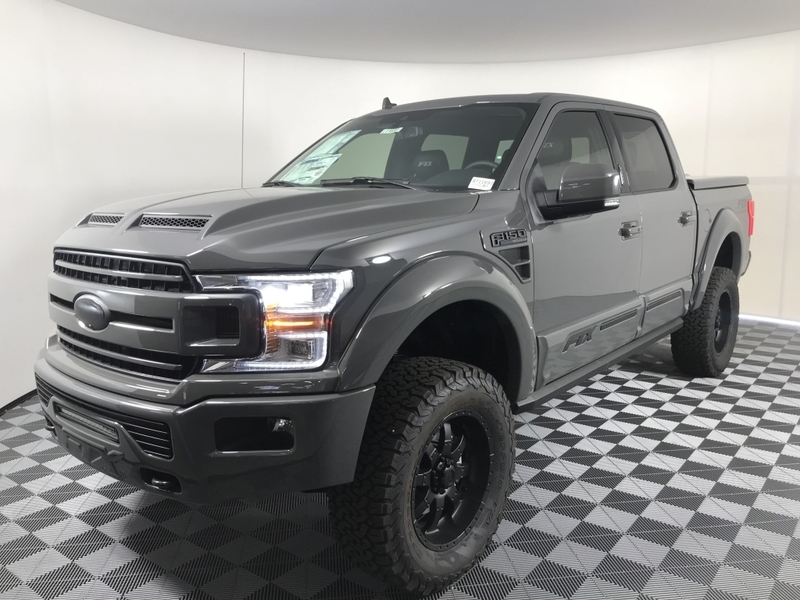 When it comes to customized trucks for sale, Ewald’s Venus Ford dealers in the Milwaukee area is the only place you need. Ewald’s Venus Ford looks forward to you discovering all that we have to offer you in customized trucks for sale. When you check out our Ford trucks for sale near you, get ready to drive home with the truck of your dreams. Check out our outstanding inventory selection of Ford F-150 trucks for sale and find the Ford Tuscany you are ready to call your own. Visit Ewald’s Venus Ford dealer in the Milwaukee area at 2727 E Layton Ave. Cudahy, WI 53110. Or give us to schedule an appointment at (414) 236-7442.